Match Play format is suppose be the big equalizer in golf. It offers an opportunity for a player to rebound quickly if they have a blow up hole. Each hole is its own competition and each player has the opportunity to gain 0, half, or a full point. At the end of the round, we add up all the points and the player with most points win. Of course, there is more to playing in a Match Play event, but that is a discussion for another day. Osprey Links Golf Course runs two Men’s Match Play events each year. One is base on gross score and the other uses handicaps. My first matches were sent out yesterday and I am looking forward to finishing both before the 9th of July. Both events are win and move on, lose and thanks for coming. In the gross match, I have a bye to the second round, with only 24 men entered, I think the lower handicap players were given a pass. I think that is perfect (of course because I made it to the second round already) and I look forward to seeing who wins their first match to be my first opponent. In the second event, I was given the name and phone number of my competitor. I am not sure what his handicap is but I think I will be giving him strokes. There is a fair bit of strategy to a Match Play event. The primary one for me is a quick start. Generally, if I can build a 2 or 3 point lead in the first 6 holes, I am tough to beat. To accomplish this feat, I need to keep the ball in play and putt well. Most of the time, I find that Match Play events come down to the player who putts the best. As the events unfold, I will keep you updated as to my progress. For now, I play to keeping working at my game and staying focused on the moment. Do you play in Match Play events? If so, any special tips? 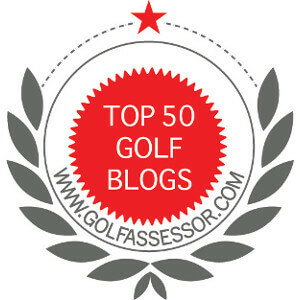 ← Are You a Fair Weather Golfer? I sent you an email about a week ago via the contact form on here. I did not receive anything from you about a week ago. Sorry for the mix up. Please resend. Hey Jim, I too love match play more than other formats. I’ve won the English Visually impaired Golf Match Play title twice so I would say that hey?! I find some people try far too hard at the mind games element of match play instead of just playing good golf and the way I find that works best to combat this is just to be really nice to them – if they have the ‘I want to throw you off’ mentality, then you being nice will do the same to them! Early leads are important and never, ever, take your foot off the pedal. if you are 2 up try hard for 3, if you are 6 up try hard for 7, never let the pressure diminish. If you are behind at any time, keep your cool and stay focused on what you are there to do, play good golf,. Good golf should win every time. You can’t do anything about a person you are giving shots to having a good hole or 2 so let them have them, but you know that you are a lower handicapper for a reason,. let your good golf come through and don’t chase a defect. Thanks for the great advice! I am looking forward to starting my matches. Thanks very much for the advice. I agree, start early and start strong. I definitely will check out your article on the ‘Aurora Curse’. Match play is my favorite and the only way I prefer to compete. My only tip is to treat each shot as an opportunity to deliver a knockout punch to your opponent. Any awesome shot (drive, approach or putt) can demoralize an opponent. Great advice. I will definitely keep that in mind when I am playing. Thanks.